We are winding down to our final Getting to Know features from some of the amazing individuals who were behind the Kosibah at 20 event last year. 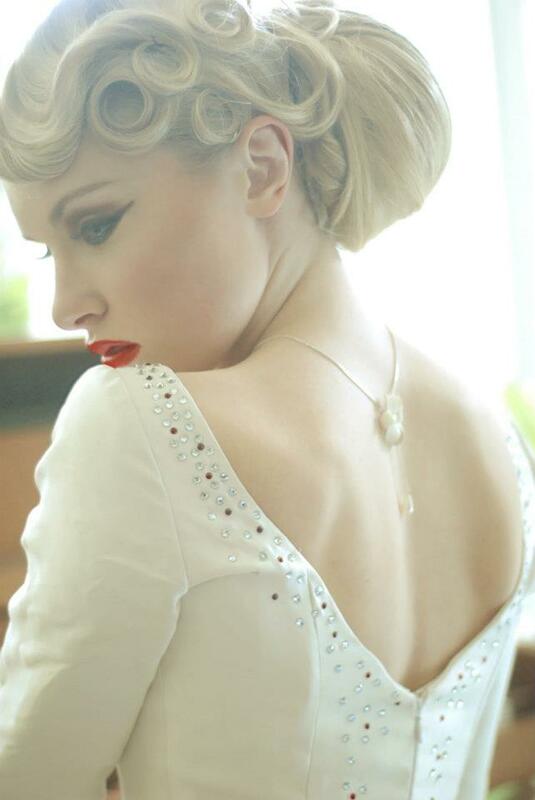 Today we have an amazing hair stylist, Kasia Fortuna who runs Kasia Fortuna Bridal Hair and Make-up founded in 2010. She will be letting us in on her business and how it runs and will also be giving interested readers the lowdown on wedding hairstyles that will be hot in 2012. The CedarEventress: Did you always know that you would start your own business ? Kasia: Looking back, I was always going to be my own boss and I always needed to be doing something creative. I’ve had training in dress making and flower arranging as well as hair and make-up. More than a year ago a close friend was getting married and her hair stylist let her down at the last minute. I had done hair and make up for friends before back home so I was asked to step in and I just couldn’t say no. I was so nervous but the bride looked fantastic, the feedback was amazing and so it was decided, I was going to be a hair stylist. The CedarEventress: What was your career path prior to starting your first business? Kasia: I’ve always worked in client facing roles. I’ve got various qualifications in customer care and dealing with clients. Prior to my current job I’ve always worked in events. The CedarEventress: Can you describe your typical working day? Kasia: Monday to Friday I’m busy with photo shoots, music videos and makeovers. Much of my work comes from a small group of my favourite photographers. Once I receive an email from a photographer with the theme of the photo shoot I visualise the hair designs in my head and introduce them to the rest of the team. During each shoot the model will have up to 3 hair and make-up changes and so it is very important to work with people you trust and know that they can deliver top results every time. Photo shoots are very hard work. The schedule is very tight and the expectations are extremely high, as is the reward. At the weekend I work with brides on their big day. I like to create bespoke hair designs, helping them look and feel great so their wedding day is everything that they expected. Kasia: What a question…. Where to start? I really try to get experience with as many different clients as possible. One of the things I love about my job is that I can work with different people every day. I never know what the day will bring. Kasia: I’ve always followed fashion, whether it’s catwalk or vintage trends. When I started, there were a list of photographers and projects I wanted to work on and I’m very proud to say that less than a year in, I’ve already worked with many of them. BINTM was probably a highlight for me but I’m actually more excited about all the things the future holds. Kasia: I love styling hair, I love being involved in weddings, photo shoots, cat walk shows. I really enjoy being around creative people. I find that I’m much more creative when I’m around people who I can bounce ideas off. But of course running a business also means paperwork, taking bookings, advertising and book keeping. But I have a fantastic boyfriend who helps me with those things. 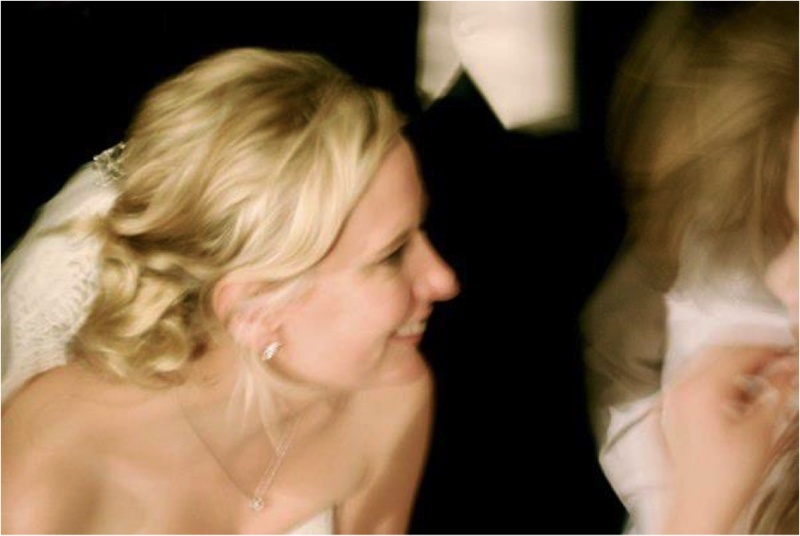 Kasia: I’m proud every time I see a happy bride who loves her hair on her big day. I had a bride last week who started crying, she was so happy! I take real pride in my work, it’s important for me to feel that way when I create something. That’s what it’s all about, otherwise it’s just a normal job. Probably my proudest moment though was seeing my work on TV. I was told the project was a music video but a few or two later I saw it on MTV. That was surreal. Kasia: It’s very difficult to put my finger on one thing. I always keep up to date on the latest trends but I like to push things a little further than that and push beyond the boundaries, have my own unique style. Fashion and wedding trends are different but I like to stay on trend for weddings too. Everything I see really inspires me. Each inspires the other. And to be honest, when you can be creative all day every day, do you really need any more motivation to get up in the morning? I don’t. I get really excited every morning at the thought of what the day might bring. The CedarEventress: Can you tell us more about some recent work you have produced? Kasia: The last few months have been so exciting. I’ve really just put myself out there. I want to experience as much variety as possible and work with as many people as I can. I’ve done all sorts really, from a music video with Bluey Robinson to Britain’s and Ireland Next Top Model and of course bridal catwalk shows and various photo shoots. Kasia: I met Yemi Osunkoya for the first time in June of last year, I visited him in his studio where I came across his fantastic drawings. His work is so precise and immaculate that I decided to bring his hair drawings to life really as accurately as I could. We worked together on a photo shoot and Yemi was so delighted with the final result that he asked me to design hair for his Bienvenue 20 bridal catwalk show. I created 10 bespoke hair-ups for his beautiful models and I was really pleased with the results as was the crowd from what I could tell. Kasia: Over the last year I’ve really built up a great team of photographers, make-up artists, stylists, designers and more but actually, for those brides who really want something beautiful or even spectacular on their wedding day, I just want them to remember one thing – Kasia Fortuna. 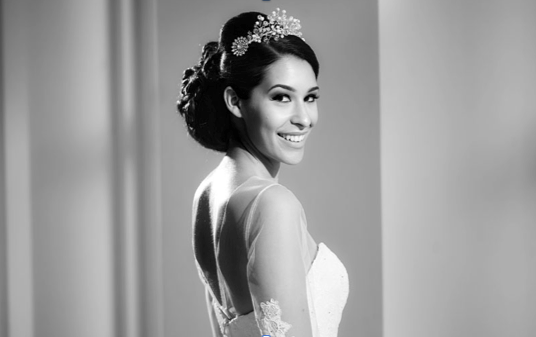 The CedarEventress: Any wedding hair style trends for 2012? Kasia: Low Bun, the perfect wedding hairstyle for 2012! The possibilities are endless. If you are not a huge fan of structured hairstyles it can be loose bun with curls on the sides. The CedarEventress: What advise would you give brides when choosing their hairstyle? Kasia: There are a lot of things you should take into account when choosing that perfect style for your wedding day. Of course the first and the most important is the shape of your face, the shape of the neckline and style of the dress . The hairstyle need to be comfortable to wear and match your personality and preferences, the theme and the overall formality of the ceremony. After the trial, wear your chosen hairstyle at least for 2 hours, it will give you an ideas if the loose curls around your face are for you, if the low bun is putting pressure on your neck, if the padding is too heavy. The CedarEventress: How long does it take typically to have bridal hair styled? Kasia: Up to 40 minutes for a blowdry, another 30-40 minutes for curling and up to 40min for styling. Kasia: Low bun is also a great choice for ladies with hair just above shoulders. If you always dreamed of an up-do you shouldn’t settle for anything less, as with hair padding and extensions, a skilled hairstylist can create a beautiful bun simply by wrapping the extensions around your natural hair and pinning it up creating the illusion of long hair full of volume. Just remember to buy extensions that perfectly match your natural hair colour. This entry was posted in Couture, Designer, Getting To Know, Trends, Wedding, Wedding accesories and tagged Designer, Getting to know, Hair, Hair Stylist, Wedding. Bookmark the permalink.